In response to Virginia Governor Ralph Northam’s obnoxious comments about allowing abortion survivors to be left to die, there has been a renewed push to pass the Born-Alive Abortion Survivors Protection Act through Congress. Unfortunately, House Speaker Nancy Pelosi (D-Ca.) is preventing a vote on the Born-Alive Abortion Survivor Act. But there is a way to bypass Speaker Pelosi to bring it to the floor of the House of Representatives for a vote– a discharge petition. In order for the discharge petition to be successful, a majority (218) of House Members must sign it. 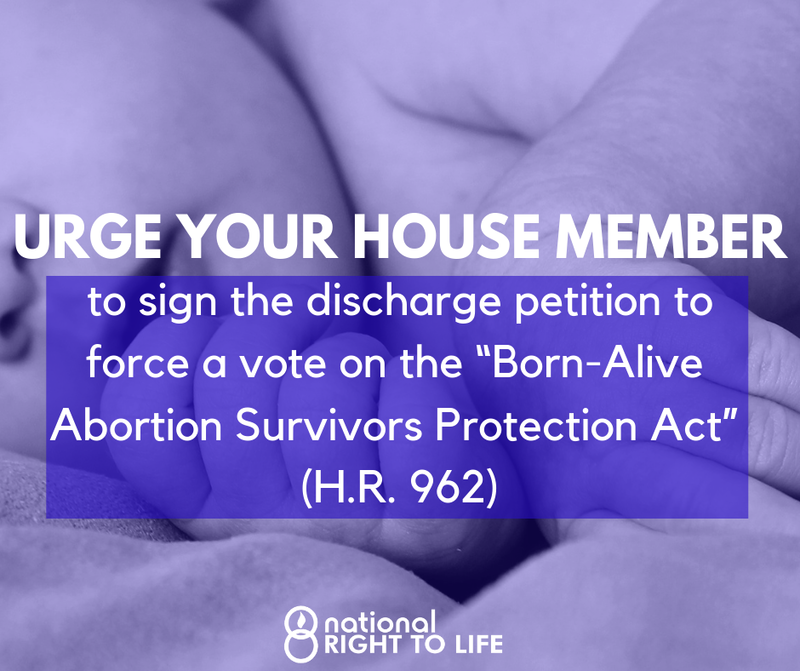 So far 199 Members have signed the discharge petition for the Born-Alive Abortion Survivors Act. We only need 19 more. So far, four Members from Virginia have signed the discharge petition. Which means that seven Virginia Members have not. Please contact your Member of Congress and ask him or her to sign the discharge petition, or thank them, if they’ve already done so. National Right to Life has provided a web link where all you need to do is enter your zip code. Once there, you can send a pre-written message to your Member of Congress urging them to sign the discharge petition. Please contact your Member of Congress today and let them know you want them to support the discharge petition. We need to keep the pressure on both the United States Congress and the Virginia General Assembly that we oppose infanticide and abortion.